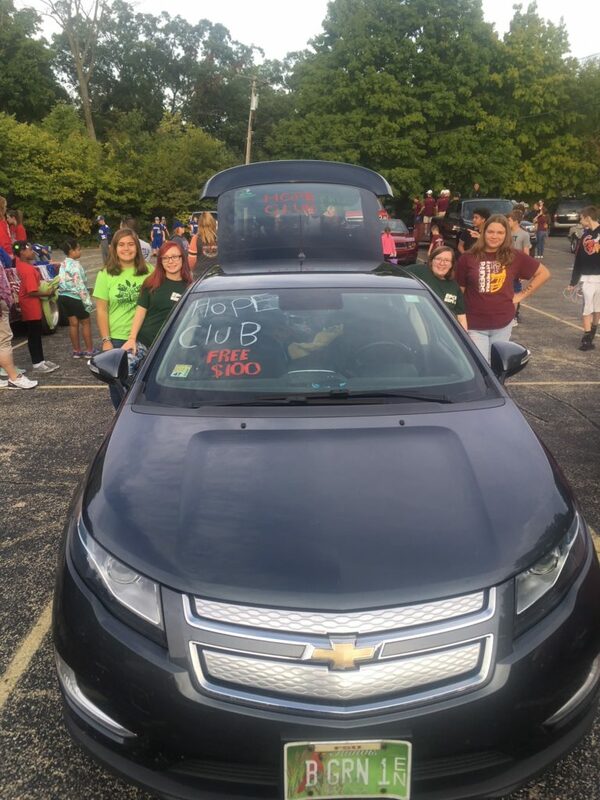 The EPCHS HOPE (Environmental) Club passed out 334 energy efficient LED light bulbs at the 2018 Homecoming parade. 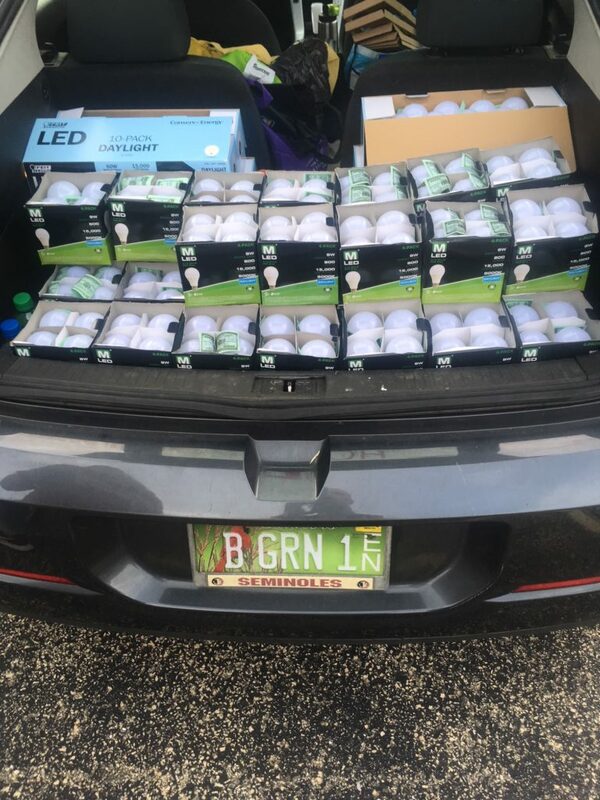 If these light bulbs are used to replace incandescent light bulbs, they will collectively save East Peorians a total of $34,000 in electricity costs over the bulbs’ lifetimes!! You might want to ignore the fact that winter is fast approaching, but now is the perfect time to prepare your home for the chilly months ahead. Set your water heater to 120 degrees (warm setting). Cover it with an insulated blanket you can purchase at a hardware store. Get your furnace inspected. Have a certified heating, ventilation and air conditioning (HVAC) contractor inspect your furnace. If your furnace is 15 years or older, you may want to consider upgrading to a newer system. Replace filters. A clean filter helps your HVAC system operate at its best and last longer. You may have to change your filter every month, but at least do so every three months. If you have pets or allergies you may need to clean and replace your filters more often. Keep warm air in, winter cold out. Weather-strip doors, caulk windows and install storm windows if you have them. A door guard or sweep can help fill the gap at the bottom of your front and back doors. You can find most of these items at local hardware stores. Clean gutters. If your gutters are filled with build-up like leaves, they can damage your home’s siding and roofing, causing cracks and letting cold air in. Reverse ceiling fans. In the winter, run the fan clockwise (from your position, looking up at it) to pull warm air down from the ceiling and keep it circulating in your house. Tree branch trimming. Cut down any extended branches that can get tangled with power lines, causing outages. Turn off outdoor faucets. Flushing outside faucets before winter is a great way to remove any excess water that could freeze up later and cause damage to your pipes. This only takes a few steps and you can find instructions on CUB’s blog. (Shut off the inside valve that leads to the outdoor faucet and turn on the outdoor faucet until the water stops.) Consider buying an insulated cover for each outdoor faucet. Bonus tip: If you have WiFi, a smart thermostat can help control your home’s temperature and cut heating and cooling costs by up to 20 percent.